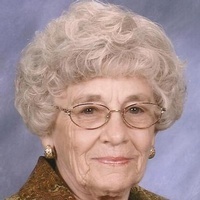 Mrs. Anna Lee Arant, age 89, of Murray, Kentucky died at 4:10pm Thursday, January 24, 2019 at the Anna Mae Owen Hospice House, Murray, Kentucky. Mrs. Arant was born April 5, 1929 in Marshall County, Kentucky to the late Elburn Thweatt and Eunice Mason Thweatt. She was also preceded in death by her husband, Ervin Arant and two brothers, Dayton Thweatt and Larry Thweatt. She was a member of the Glendale Road Church of Christ. She is survived by her daughter, Jane Morris (Brent), Hazel; son, Steve Arant (Sharon), Hazel; seven grandchildren, Seth Arant (Ashley), Jesse Arant (Kady), Joshua Arant (Payton), Elle Arant Rose (Jereme), Justin Morris (Shereen), Micah Morris (Abbie), and Brandon Morris; and fourteen great grandchildren. The funeral service will be at 10:00am Tuesday, January 29, 2019 at the Blalock-Coleman & York Funeral Home with John Dale officiating. Burial will follow in the Murray Memorial Gardens and friends may visit from 5:00pm to 8:00pm on Monday at the funeral home. In lieu of flowers, the family request that donations be made to the Anna Mae Owen Hospice House, 803 Poplar Street, Murray, KY 42071. Blalock-Coleman & York Funeral Home is in charge of arrangements.